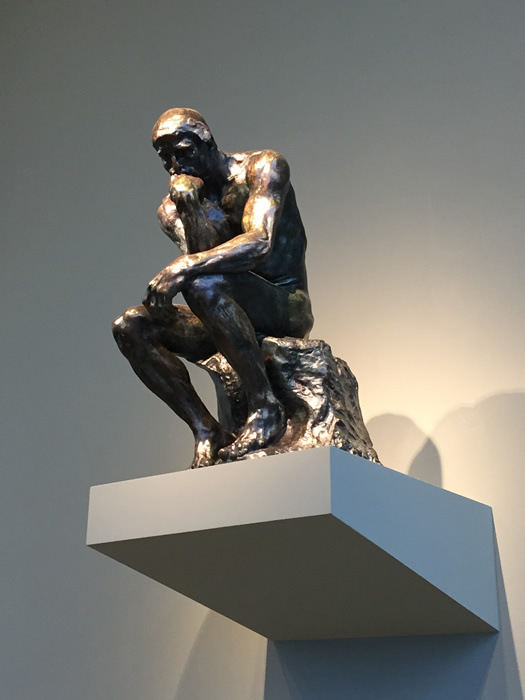 Cleveland, OH (April 6, 2018) – Celebrate the artist Auguste Rodin (1840–1917) and the exhibition Rodin—100 Years. The evening includes a special tour highlighting the unsolved mystery of the bombing of The Thinker, programming designed to spark your cerebral cortex and your dance moves, signature cocktails and hip hop, house and world music by DJ Candi Fresca. The exhibition commemorates the centennial of Auguste Rodin’s death through the display of selected highlights from the museum’s collection of over 40 works by the French master. Rodin––100 Years is on view through May 13, 2018. MIX: Philosophy is part of the Cleveland Museum of Art’s MIX at CMA series. On the first Friday of each month, MIX highlights a different aspect of the museum and its collection. Art, music, cocktails—something different every month. MIX is for adults 18 and over. I have my ticket for tonight's #MIXatCMA! No tickets to the Indians Home Opener tomorrow? May we also recommend the #MIXatCMA!! The best happy hour party EVER!!! Friday, 4/6 from 6-10pm. The best happy hour party EVER!!! I learned this when I toured @MuseeRodinParis many years ago. Check out @MannyWallace photos of @ClevelandArt's #MixAtCMA on @ClevelandScene.